Known as Sin City, Las Vegas is filled with all manner of pleasures, including alcoholic ones! Having gained a reputation for doing everything bigger and better than anywhere else, it is no surprise that Las Vegas is stocked with some of the world’s best bars. So, if you’re looking to enjoy your holiday with a good drink, read on to discover the best bars in Las Vegas. Finding its home in the world-famous Bellagio, the Caramel Bar and Lounge is the perfect place to enjoy sophisticated cocktails with your friends and family. Although the lounge serves a decent variety of wine, beers and champagne, it’s the cocktails that really stand out – especially the Oreo martini. Palms Casino Resort offers up Ghost Bar, a cool place to enjoy delicious drinks. Enjoying its location on the 55th floor of the resort, patrons of the Ghost Bar will be treated to some of the most incredible views of the Las Vegas Strip – and a drink in your hand will sweeten the view all the more. Blush is the pride and joy of the Wynn resort, and is a stylish boutique club. You won’t feel out of place in this venue, which serves smooth music and smoother drinks, with table service available at an extra cost. The Jet bar encapsulates the personality of Las Vegas: it is loud and colorful, and delightfully sinful. Housed in the Mirage hotel, Jet serves its patrons high quality beverages, including perfectly mixed cocktails. Dance the night away to 80s classics, and keep your eyes peeled for any celebrities which might be lurking in the corner. 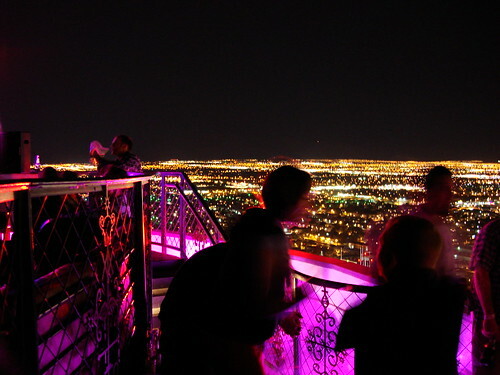 One of the best bars in Las Vegas, the VooDoo Lounge offers stunning city views as well as a contemporary interior. Order up your favorite cocktail, whether it be a mojito or cosmo, and don’t be afraid to ask for something that’s not on the menu – the expert mixologists can whip up any specialty. Located within Mandalay Bay Casino, Rum Jungle is on hand to provide its patrons with an unforgettable time. Having been voted Las Vegas’s hottest nightclub, you can expect discerning cocktail experts frequenting the bar, ordering up something classic or a Rum Jungle special. This lounge and restaurant oozes contemporary glamor, serving refreshing drinks and exciting lounge music. Order one of their exquisite martinis before heading through to their restaurant, where you can enjoy a variety of sumptuous meals, including Kobe beef. Although slightly on the pricey side, this venue is well worth checking out. Located in the Mirage, Stack is a lively bar and restaurant, which serves good food and great drinks. Order your favorite cocktail or spirit before continuing on to the restaurant, where you can feast upon favorites such as Maine lobster. End the evening with a bottle of champagne, or even a box of mini jelly donuts! 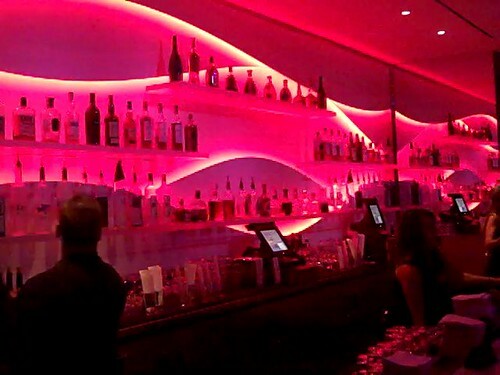 XS’s stunning interior creates a dramatic environment for patrons to enjoy delicious drinks in. Part of the Encore hotel, you can expect unrivaled hospitality in this exquisite bar, as well as gorgeous cocktails and electric music. Begin your night with a bang at the Tao Lounge, which oozes with personality. Enjoy a cocktail of your choosing or select something special off the lounge’s menu, and wash it all down with the rhythms the in-house DJ provides. Matthew Coe is a travel writer for new UK luxury tour operator Wanderforth. Do you have any establishments to add to our best bars in Las Vegas list? Let us know in the comment section below.